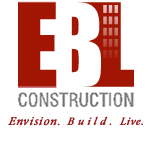 Luis Lavergne has joined EBL as a Project Estimator and will be working out of Naples and Miami. Recently Luis worked for several general contractor firms in the Miami area and is a graduated from UF with a Bachelor of Science in Building Construction. Welcome on Board Luis!